May | 2015 | The Intraracial Colorism Project, Inc. 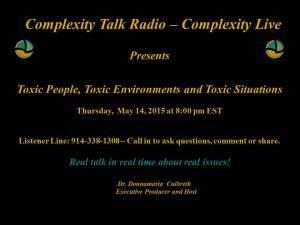 Toxic People, Toxic Environments and Toxic Situations. Advertise in the Journal of Colorism Studies. Listener Line: 914-338-1308: Call to ask questions, comment or share. We will also accept interviews, articles, book and movie reviews.